John Isaac Thornycroft designed a steam carriage in 1862, and in 1864 he set up the Steam Carriage and Wagon Co in Chiswick. Official antipathy to steam carriages meant that, having also designed a small steam launch, he instead set up a shipyard as John I Thornycroft and Co, building the Royal Navy’s first torpedo boat. He retained his interest in road vehicles, however. In 1896 a lightweight vertical steam launch engine was fitted into a van. Production versions were soon selling well, and in 1898 a new works was opened in Basingstoke. In 1902 steam wagon production was licensed to Stewart of Glasgow as the Stewart-Thornycroft, and in 1904 the shipyard moved from Chiswick to Southampton. Steam vehicle production at Basingstoke ceased in 1907, replaced by motor vehicles, which had first been produced in 1902. From 1903 to 1912 Thornycroft also built luxury cars. After 1907 the two Thornycroft concerns were separate firms; shipbuilding in Southampton and road vehicles in Basingstoke, plus a boatyard for smaller craft on the Thames at Hampton. 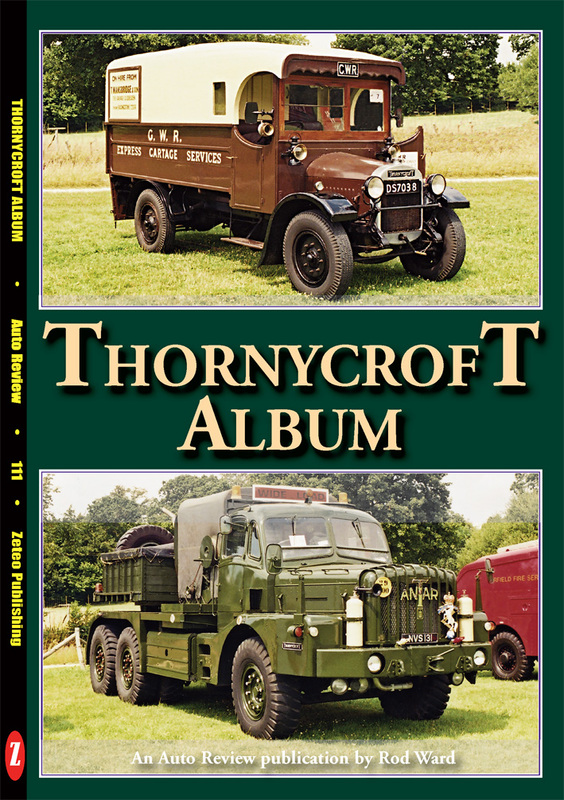 In 1948 the vehicle firm was renamed Transport Equipment (Thornycroft) Ltd to further separate it from the shipbuilding company, and in 1961 it was taken over by Associated Commercial Vehicles Ltd, the group which also owned AEC. ACV was itself absorbed by Leyland a year later. In the early 1970s, as sales diminished, Thornycroft vehicle production ceased, to avoid internal competition with Leyland-owned Scammell, which sold to similar markets. In 1966 the Southampton shipbuilding firm merged with Vosper & Co, and Vosper Thornycroft became a single entity in 1970, soon renamed the VT Group.